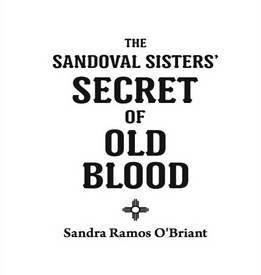 Sandra Ramos O’Briant’s debut novel, The Sandoval Sisters’ Secret of Old Blood, is a historical fiction novel set around three sisters during the Mexican -American War in Santa Fe, N.M.
Alma runs off to Texas with her young lover to escape an arranged marriage with an older man. When she leaves, her younger sister Pilar takes her place at the altar. The Mexican-American War begins and Santa Fe is invaded. Oratoria, the eldest, was adopted into the family Sandoval at the age of 5. The story is told from each of the sisters’ point of view as they document events in diaries, as had been the practice of the Sandoval family for hundreds of years. The story also touches on superstition and includes an element of witchcraft and voodoo. “When people don’t understand something or feel oppressed or are losing their land, livelihood and loved ones, they turn and pick a target,” she said. Though this is O’Briant’s first novel, her short stories have been featured in various anthologies and journals. O’Briant’s book launch was on Oct. 7 at Vroman’s Bookstore in Pasadena. She calls and skypes into book clubs across the country. For more information or to receive book discussion questions, you can e-mail her at sandra@thesecretofoldblood.com.